Learn how to facilitate your spinal corrections by determining the type of subluxation present, structural, dural meningeal or viscersomatic, and the most effective adjusting protocols for each. Occipital fiber analysis offers the chiropractor a specific protocol for detecting the major subluxation or vertebral dysfunction and how to most effectively correct it. Combined with the soft tissue protocols (Chiropractic Manipulative Reflex Technique — CMRT) in this video you can help support the adjustments through the use of supportive soft tissue procedures to break or reduce the aberrant viscersomatic reflex arc common in chronic subluxation patterns. In this 3-DVD set, not only are the complete corrective procedures taught for the Occipital Fibers, but the supportive soft tissue procedures are covered for the major organ systems including: lung and sinuses, stomach, gall bladder, ICV, pancreas, cecum, liver, spleen and immune system, adrenals, kidneys, large intestine and hormonal system. A PDF workbook is included on the fourth disc. 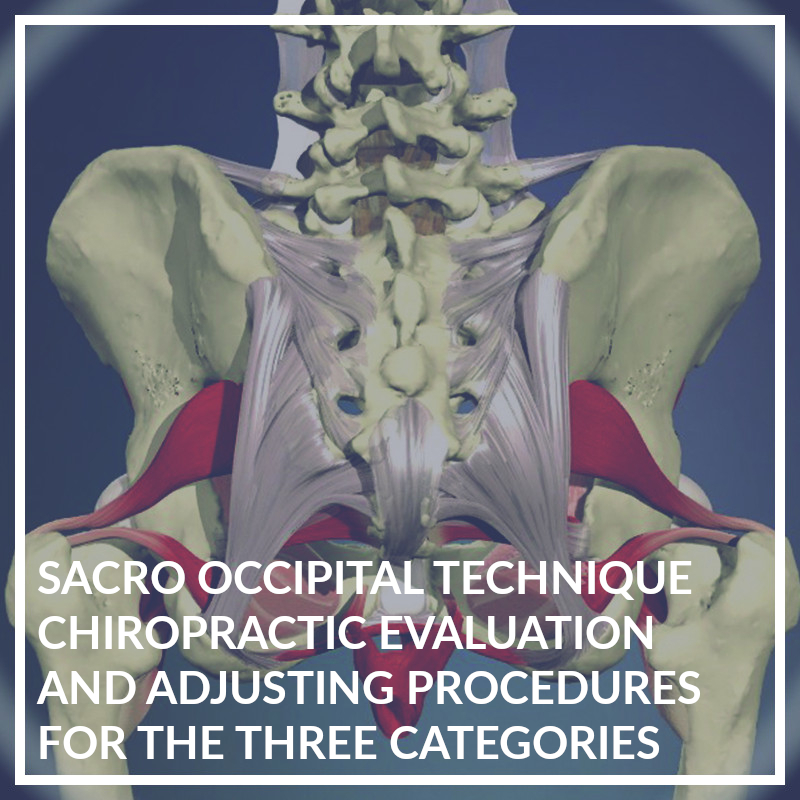 In this 3 DVD set Dr. Rosen demonstrates the evaluation and adjusting procedures of the Sacro Occipital Technique® (SOT®) adjusting system. A complete SOT® examination is demonstrated and the findings and correlations to clinical applications are discussed. The anatomy and physiology of all three categories are explained, and the adjusting protocols are demonstrated in a step-by-step fashion. Lecture, demonstration, and PowerPoint presentations are combined in this SOT® series to give the beginning to advanced practitioner a solid understanding of the SOT® Category system. Working with this portion of the population involves special skills and protocols often overlooked in the general chiropractic practice. In this 3-DVD set (streaming video also available) Dr. Martin Rosen, DC, CSCP, CSPP, an SOT® certified instructor, will cover many of the specific adjusting protocols necessary to deal with the hyper-mobility and pelvic balance issues specific to the pregnant patient. The adjusting protocols taught in this program offer the practitioner a set of skills to deal with the changing neurophysiological and biomechanical presentations in the pregnant patient. You will learn safe and effective methods that can help with even the most challenging cases. Specific issues common to the pregnant patient including: morning sickness, pelvic constraint,VBAC, Carpal tunnel, Premature labor, difficulty in conception, inability to maintain pregnancy and others are also covered. While some these techniques are based on SOT® adjusting protocols, these videos allow those unfamiliar with SOT® chiropractic procedures, as well as already established SOT® doctors, to work more efficiently with this segment of the population. Standard adjusting protocols as well as specialized and ancillary procedures are covered and demonstrated thoroughly in this DVD and Streaming Video series. A PDF workbook is included in a fourth disc.